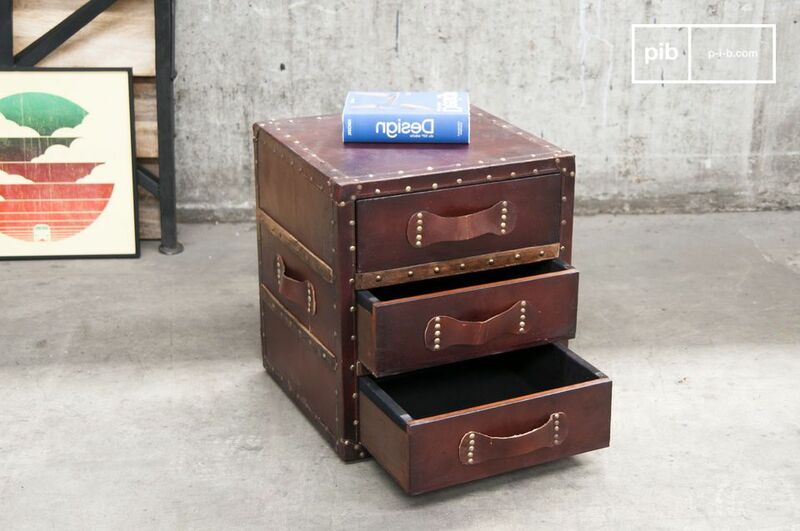 A well proportioned chest of drawers that can be used as a side table at the end of your couch as it offers storage space for your books, magazines, and remote controls as well as a platform for a lamp or vase. 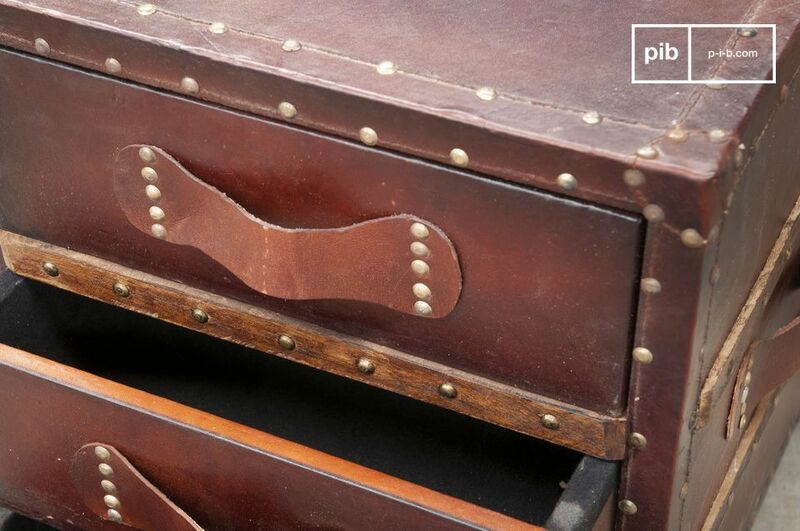 The chest of drawers is made of wood, which is mounted with nails and covered with leather. 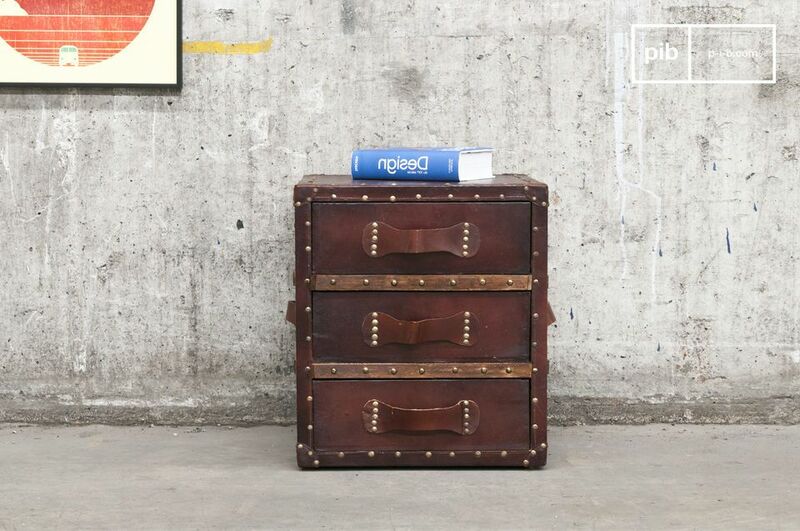 Two straps made of varnished wood surround the middle drawer and emphasise the vintage style of this chest of drawers, which imitates an old suitcase. The interior of the 3rd drawer has been wallpapered with black fabric with love for detail. 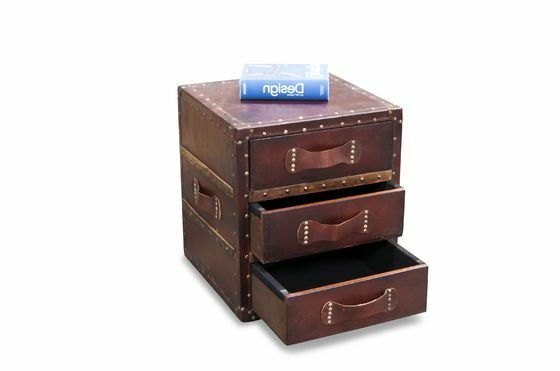 The leather chest of drawers is a practical piece of furniture that may also be used as a bedside table next to both sides of the bed as it offers much storage space. Do you need more space? Place several of these chest of drawers next to each other.